In Florida, the Democratic candidate Andrew Gillum is looking to turn the state into the next Venezuela. There are criminals and Middle Eastern people in the Caravan heading to the United State and the Democrat’s are paying Honduran Youth to join the caravan. In the next few weeks, he is going to give the middle class an MAJOR tax cut. All of these claims have been debunked by the press and these comments are directed to his base. We know Common Sense is anything but common. Somepeople, (lets hope they aren’t anyone you know) have appeared as clowns at movie theaters all over the world dressed as clowns. Listen, my screaming began as I was buying the ticket. Being the manly man I am, I continued to scream throughout the movie. Last week, if someone sat next to me wearing a clown suite. 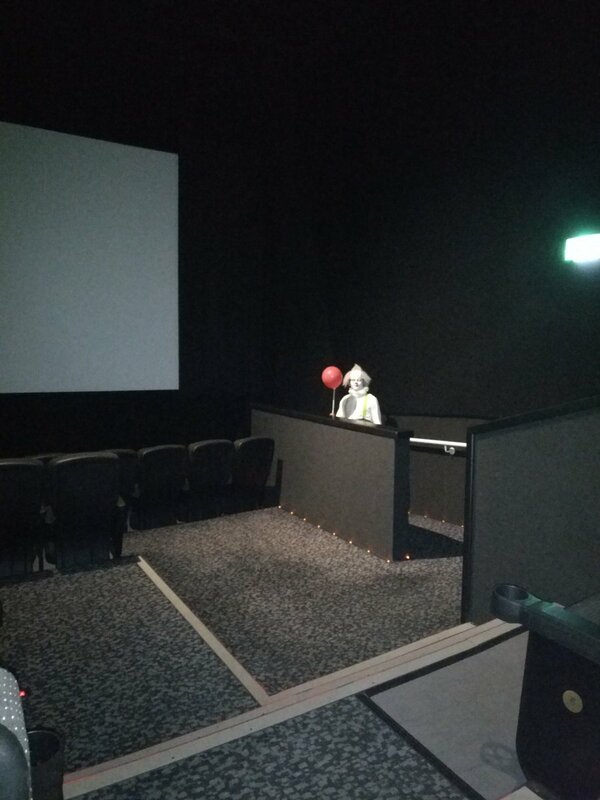 They may have entered the theater looking like Pennywise however, they would have looked like someone else when they left. .
That’s because a handful of jokers have decided that the horror film would be more enjoyable to watch if they went along to the cinema in full clown gear. Naturally, this has led to some terrifying encounters in dark cinemas, where It fans have unexpectedly come face-to-face with the nightmare villain. Taking to Twitter, a man going by the name of Chris spooked out fellow horror fanatics when he shared a picture of what was waiting for him inside the cinema. Diane Earnestine Earle Ross (The BOSS) and Mama of Emmy Award Winner Tracee Ellis Ross is 73 Today! Mixup at the 2017 Academy Awards. “La La Land” was read. THE WINNER for best picture was “Moonlight” and Steve Harvey was no where around.